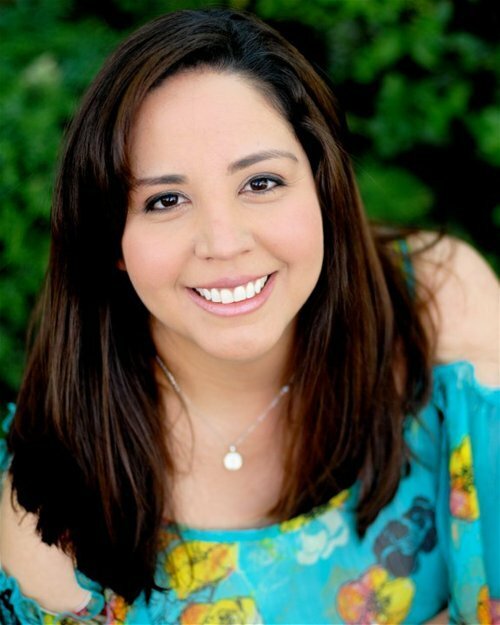 Who’s blogging: Ericka Sanchez. I was born in Torreon Coahuila, Mexico and raised in El Paso, Texas. Currently I work in social media management. Tell us about the name of your blog: Nibbles and Feasts came about from encompassing the foundation, heart and love of my culture with food! Whether you’re nibbling or feasting, you can bet that happiness, family and friends are always nearby. Ericka dazzles readers with approachable recipes to classic Mexican dishes that reflect her Texan upbringing while introducing a healthy take on weeknight dinners. Most popular post: Two of my most popular posts are based on a trip to Oaxaca I took a few years ago: Black Mole and Lacoyos de Requesón. My Pistachio – Banana Bread is extremely popular and I’m guessing it’s because of the photograph. I still salivate every time I see it! What you’ve learned about food: I learned that recipe development and testing is tedious and exhausting but once I have the right combination of flavors and a beautiful outcome, I want to keep doing it. But most importantly, I have learned that food is universal and brings people together from all walks of life. I can strike up a conversation and make a friend with just about anyone when it comes to discussing food. Inspiration for your posts: I am inspired by my biggest cheerleaders, my husband Efrain, my son Joaquin and the person that started my love of cooking, my mother. I love recreating my family’s recipes and associating endearing stories that I tuck away in memories. I am also inspired by this wonderful city I live in where I can find just about any ingredient a recipe calls for. I can’t travel the world right now, but I get a good taste of it by exploring Los Angeles. Lessons learned from blogging: It’s 99% about the photographs. Food photographs must be captivating and so delicious looking that you want to lick the screen. I still have a lot to learn but I’m having fun as I practice. Blogging also brings amazing people into your life. I’ve met some amazing bloggers that I now consider great friends. I’ve had the opportunity to dine with some incredible dairy farmers and walk orchards with growers as they tell their story of how their orchards came to be. Where else can we find you online: You can find me collaborating with Nicole Presley (Presley’s Pantry) on The2GoodEggs.com, a blog dedicated to breakfast, my favorite meal of the day. I am also a monthly contributor to The Culture of Food section on SpanglishBaby.com, a go-to online community for parents raising bilingual and bicultural children. You can also find some of my original recipes on Nestle’s recipe site, Meals.com. Nibbles and Feasts is also on Facebook and Twitter. Favorite blogs: I’m a big fan of recipes by Presley’s Pantry, What’s Cooking Mexico and Cooking on The Weekends. I love to get inspired by the photography in Cannelle et Vanille, Princess Missia Recipes, What Katie Ate and Matt Bites. I also find so much enjoyment in DavidLebovitz.com and his stories of life in Paris.